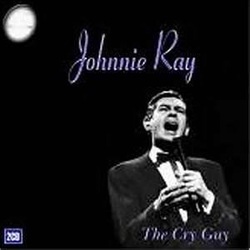 Johnnie was an American singer, songwriter, and pianist. 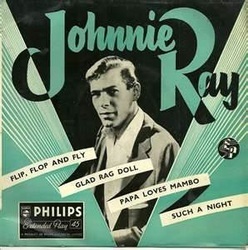 Extremely popular for most of the 1950s, Ray has been cited by critics as a major precursor of what would become rock and roll, for his jazz and blues-influenced music and his animated stage personality. 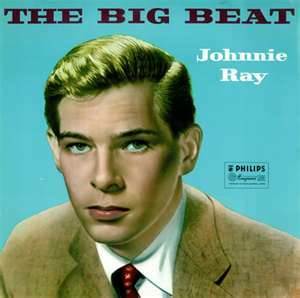 Ray's first record, the self-penned R&B number for OKeh Records, "Whiskey and Gin", was a minor hit in 1951. The following year he dominated the charts with the double-sided hit single of "Cry " and "The Little White Cloud That Cried". Selling over two million copies of the 78rpm single, Ray's delivery struck a chord with teenagers, and he quickly became a teen idol. He capitalized on his sudden superstardom by appearing in the hit movie There's No Business Like Show Business (1954) alongside such stars as Marilyn Monroe. Ray's performing style included theatrics later associated with rock 'n roll, including tearing at his hair, falling to the floor, and letting the tears flow. Ray quickly earned the nicknames "Mr. Emotion", "The Nabob of Sob", and "The Prince of Wails", as well as several others. 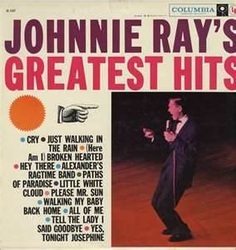 Night", "Walkin' My Baby Back Home", "A Sinner Am I", a "Yes Tonight Josephine", as well as "Just Walkin' in the Rain" in 1956. 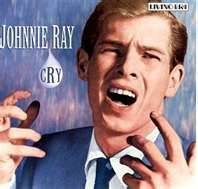 He hit again in 1957 with "You Don't Owe Me a Thing", which reached #10 in the Billboard charts. 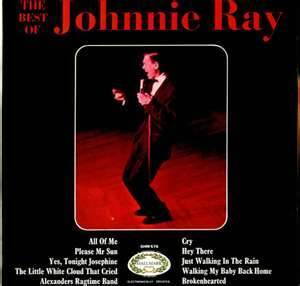 He was also popular in the United Kingdom, breaking the record at the London Palladium formerly set by Frankie Laine. In later years, he retained a loyal fan base overseas, particularly in Australia. For his contribution to the recording industry, Ray has a star on the Hollywood Walk of Fame. Our special playlist of Johnnie's best music. Check the Music! Music! Music! page on our navigation bar and click on The Very Best of Johnnie Ray.